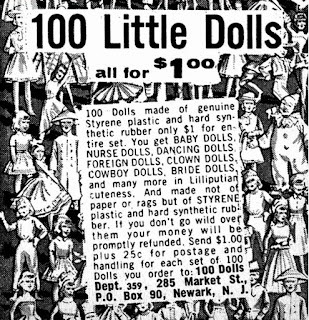 One of many identities used by/products sold by the people ('jobbers')who shifted Hong Kong sourced small-scale sets of usually flat figures through adverts in American pulp and 'Super-hero' comics from the 1950's through to the 1980's. Some of the mouldings in this set were based-on / sourced from old European margarine premiums, namely;the dancers. 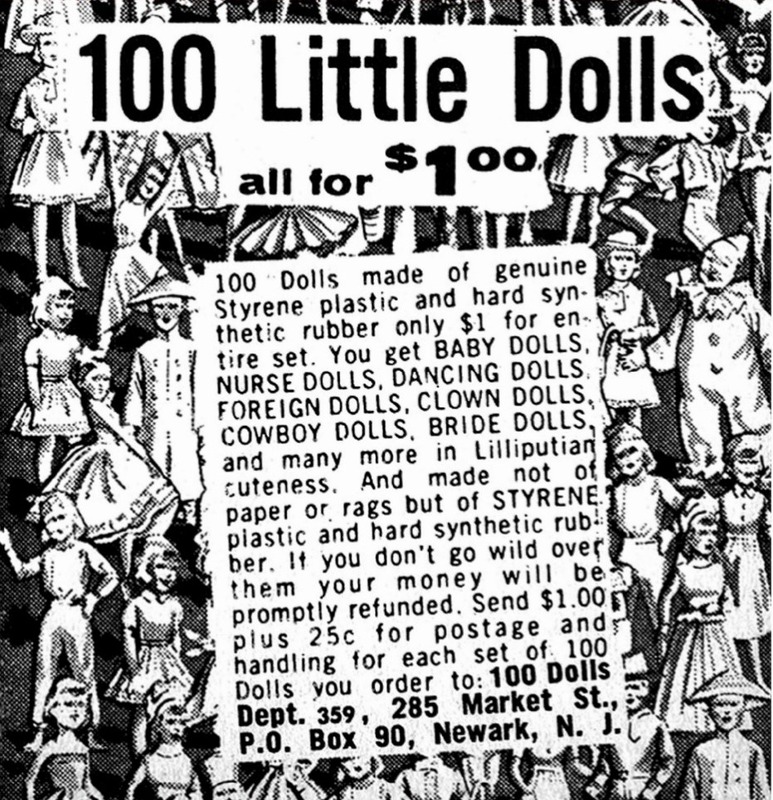 "100 little dolls all for a dollar"
Can you still get this offer of 100 little Dolls! 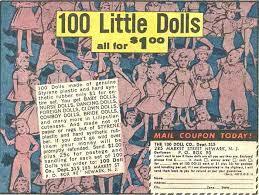 Saw it in Archie Comic!